Merry Christmas!! It’s hard to believe that it is December already and time for all our Grange Christmas Parties. Enjoy these festivities with your Grange Family. Our Grange friends are an important part of our lives. 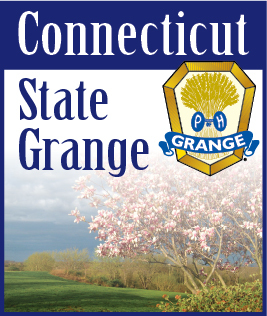 Let’s all get out and visit with our Brothers and Sisters of the Grange. Our numbers may be getting smaller, but we all have made life-long friendships to be thankful for. Our Essay Contest was very popular last year. We had a lot of excellent entries making the judging very hard. As you read our first place winning entry, why not think about your favorite food and get a head-start on this years’ contest. My favorite food is chocolate cake – rich and moist – from scratch – the way my mom used to make it. The frosting would have been hers, too. She would start with those two oblong chunks of chocolate with the raised figures on top, placing them in the double boiler where they would get thinner and thinner, finally melting into a shiny pool of tempting chocolate. Then Mom would plop a chunk of butter in with the melted chocolate, add powdered sugar, milk and vanilla and beat everything into a thick, creamy fudge that she would spread a half-inch thick between, over and around the two layers of cake that had been cooling on the racks. The finished product would than hide under the silver cake cover until dinnertime where it was revealed with a flourish and eaten with relish by all at the table – especially me! Do you wonder that I was a chubby child? ?